Award winning Ugandan Filmmaker Caroline Kamya completed degrees in England in Architecture at the prestigious Bartlett (UCL) and an MA in TV Documentary at Goldsmith College. While at university Carol also worked on productions first as a runner then as a 3rd, 2nd and 1st AD. In 1999 she set up her own production company, iVAD in London. She continued to work in TV for several years. She worked at BBC London after attaining professional BBC TV training in 2003. 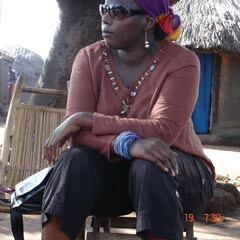 In 2004 she set up a company office in Kampala, Uganda. iVAD International is now the leading production house in Uganda.